The Extensive Urban Survey project (EUS), initiated and funded by English Heritage, is part of a national programme conducted on a county by county basis. 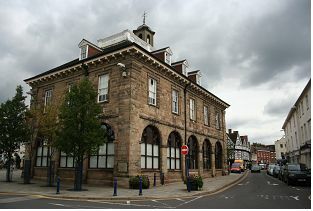 Over a period of three years from August 2010, Warwickshire County Council Museum Field Services will undertake a study of twenty Warwickshire towns, and a further three towns in the borough of Solihull, to develop understanding of their historic character type and development. The project reconciles archaeological, documentary and cartographic data, in order to identify urban character areas within each town. A series of reports will be published, for each town and for each district. A comprehensive final report will also be produced, summarising and reviewing urban planning requirements with reference to the historic environment and the EUS methodology. Project results will be made available on the Warwickshire and Solihull Historic Environment Records (HER), and the Warwickshire Timetrail website (http://timetrail.warwickshire.gov.uk). It is anticipated that this spatial data will constitute a valuable evidence base for use by the public, local researchers, heritage professionals, and local planning authorities. The EUS project will be crucial to informing planning decisions, as well as the correct implementation of the recently introduced Planning Policy Statement for the Historic Environment (PPS5).